At first glance, the home buying process can seem daunting. However, with the right help and resources, you can navigate the process seamlessly. 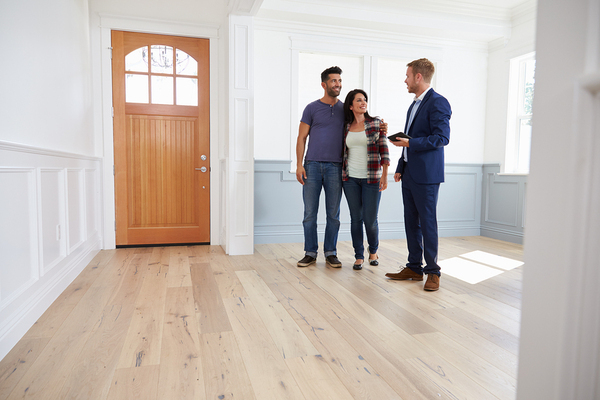 Preparing for the process before you even start looking at homes can give you a head start, so read on for helpful insights for potential buyers. Buying a home is exciting, but it can also be a complex process. You’ve probably been scanning through listings now that you’ve made the decision to purchase a home, but taking some time to prepare will make the whole process easier. Before you start looking at individual homes, focus on the neighborhoods that are most appealing to you. Are they within a reasonable commute from your workplace? Do they have a good school system? What types of entertainment are available? Answering these questions will help you get an idea of the right neighborhoods to search within. It’s also a good idea to start looking at sales prices in these areas, as you can watch pricing trends and sales activity. Are houses on the market for months, or do they sell within weeks of listing? Are there any significant differences between the ultimate sale price of the home and the listing price? Finally, you’ll want to get preapproved for a mortgage as soon as possible. This entails filling out an application with a lender which will then let you know how much you are eligible to borrow. Getting preapproved early on in the process will help you avoid focusing on areas or houses that are outside of what you can afford. Once you know where to look and how much you can spend, it’s time to start your search. Particularly for inexperienced and first-time buyers, it is recommended to work with a buyer’s agent who will be your support system throughout the process. Even if you like doing the legwork of searching for homes online or in newspapers, a buyer’s agent will be the one who helps you submit the offer and handle any points of negotiation. When you find the right home, your agent will help you submit an offer based on comparable home sales and the quality of the property. If your offer is accepted, you’ll have to start negotiating needs like the home inspection, which will find any underlying problems with the house that may not have been seen during viewing, or that may not be known by the listing agent. Should the inspection report come back with noticeable issues, you’ll have the opportunity to walk away from the offer or renegotiate with the seller. You’ll also need to select the loan type and lender for your mortgage at this stage. While your preapproval helps you know what you can spend, your terms and rates aren’t guaranteed until you apply through and select a lender. While the bulk of your work is done after you’ve gotten a mortgage and the sale is pending, there are a number of steps that must be done by lenders, title agents, and attorneys to get the sale to closing. Be sure to check over any paperwork that comes your way, as the smallest of errors can end up pushing back the closing even further. On the day of the closing, all paperwork will again be reviewed, and you’ll have to sign off on everything. Once complete, your lender will transfer the funds to the seller — which can take a few days — and then you are officially a new home owner. Are you ready to start the search for your dream home? Answer a few questions here and a home lending expert will contact you with available options.